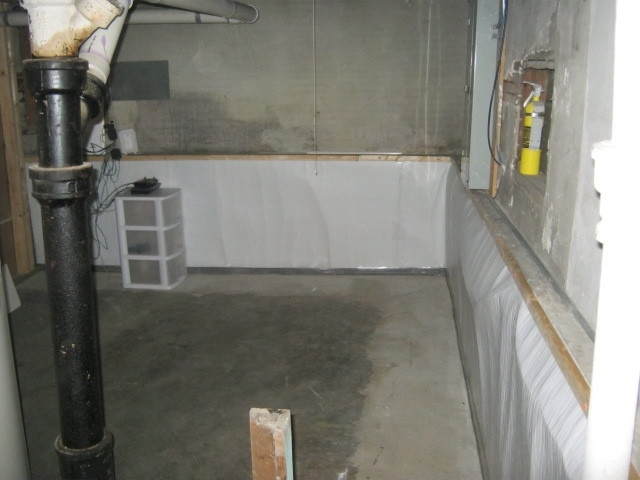 Sealing: Before we arrive the customer is informed that the owner is to relocate items 2 feet away from the walls in the unfinished basement and garage. This will allow us to seal all exposed wall/floor joints and floor cracks to achieve the best possible results and energy efficiency. 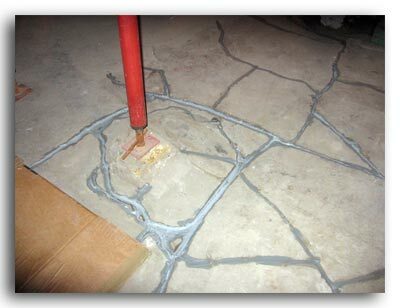 Sealing: We will seal wall/floor joints in the unfinished basement and garage (if a suction point in the garage slab is being installed). 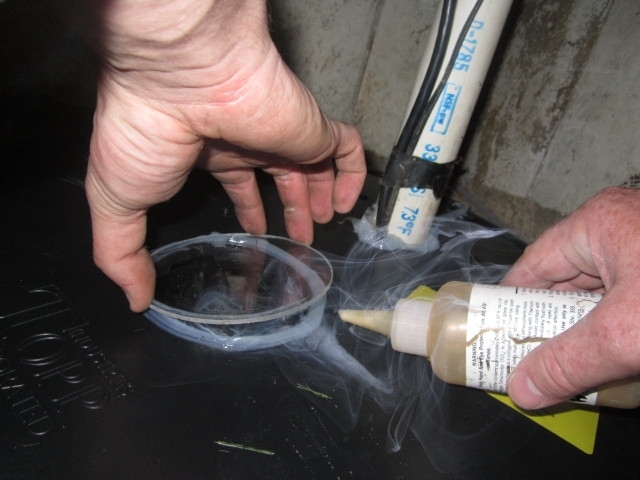 Sealing increases the efficiency of the system and the reduction of radon levels. 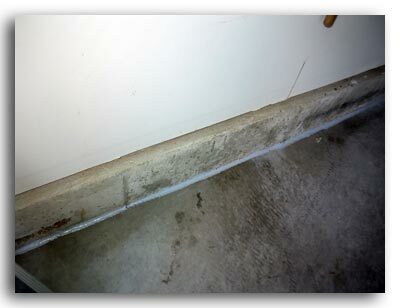 We will seal exposed control joints in the basement floor and garage slab. 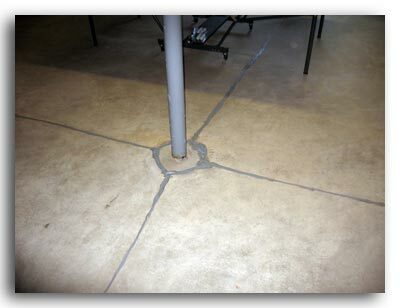 We seal all exposed floor cracks that are 1/8" wider or wider in the basement floor and garage. We will seal the floor of a gravel crawl space with 6 ml. plastic membrane. The plastic we be attached to the walls of the crawl space with wood furring strips and sealant. This home had insulation on the walls of the gravel crawl space. 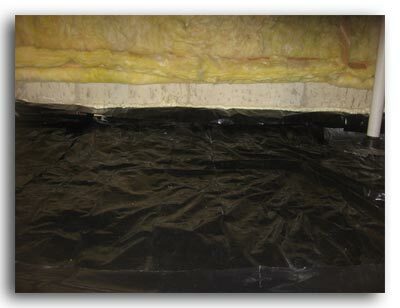 In this case we will remove up to 12" of the insulation to achieve a superior airtight seal of the plastic. Failure to do this step will reduce the efficiency of the system and increase the operating cost of the system. We will re-secure the insulation for an additional charge, if needed. 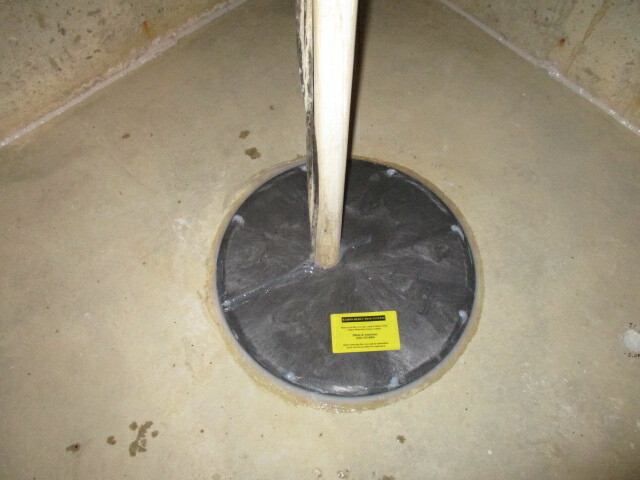 We will seal the ground water sump pit with solid poly lid so that it is airtight. The lid is labeled with instructions for maintenance. 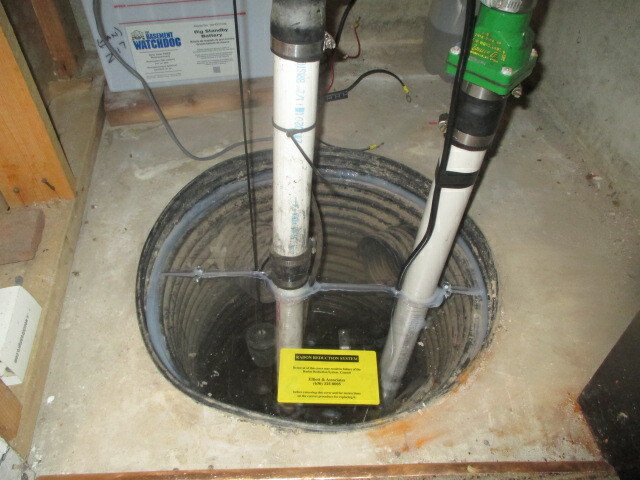 The sump pit should be sealed airtight to trap radon and moisture under the slab so that it can be pulled out with the sub-slab ventilation system. 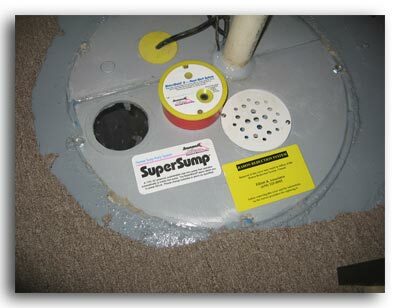 We can install an optional viewport on the sump lid cover so that you may see into the sump pit without removing the lid. This option is an additional charge. This home has an interior drain title system. 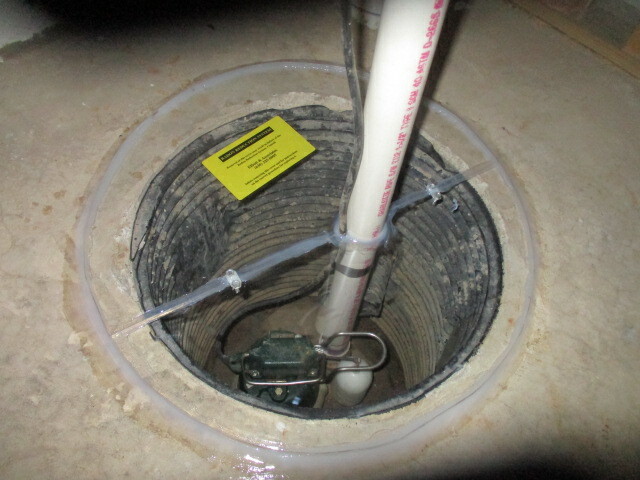 Our system was modified to work in conjunction with the interior drain tile system. 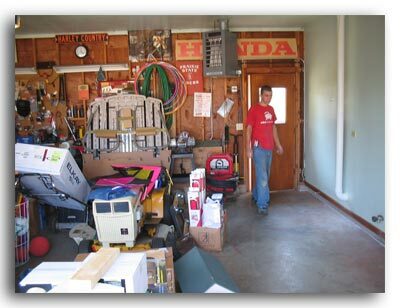 This is just one sign of our extensive experience with many different types of homes and situations. 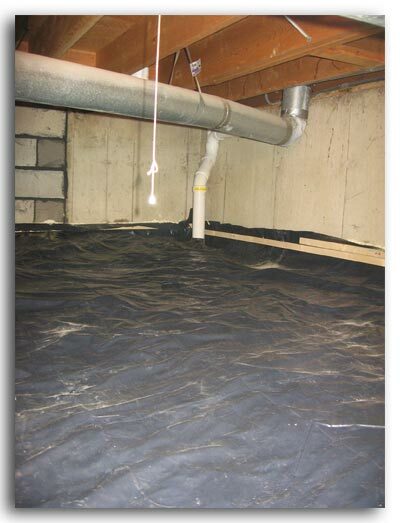 We also install membranes on foundation walls with interior drain tile system that will allow the water management system and radon system to work perfectly together. 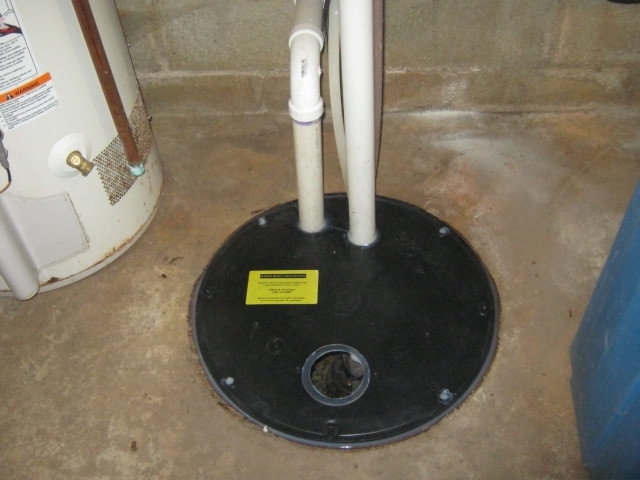 We can install a clear sump cover which allows you to conduct a visual inspection of the ground water sump. This is considered an upgrade feature.